Holdover hits Kolamaavu Kokila in Tamil, and Geetha Govindam in Telugu continued to smash records and dominate South Indian box office even as a bevy of films released on 24 August. The new releases — Lakshmi, Echarikkai, Merku Thodarchi Malai and Neevevaro — failed to grab the attention of audiences and bit the dust eventually. 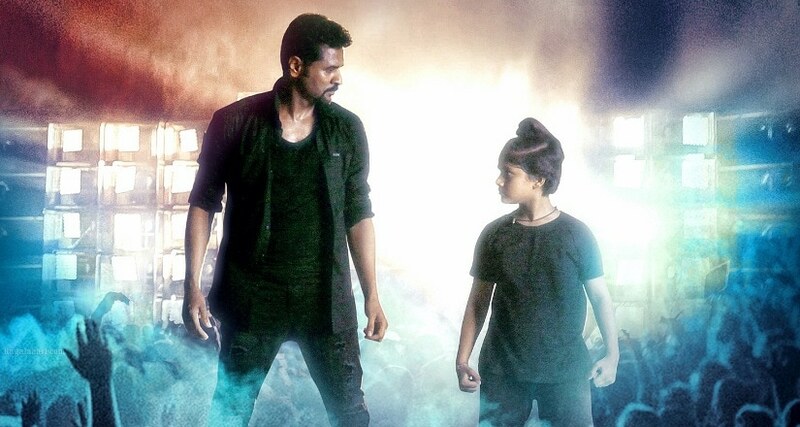 While the Tamil Nadu box office numbers for Prabhu Deva's dance drama Lakshmi, directed by Vijay, are in the below par range of Rs 2.4 cr over the opening weekend, the film has managed to earn Rs 53 lakh in Chennai city in the first three days. Other three Tami releases—Varalaxmi Sarathkumar's Echarikkai, Vijay Sethupathi-produced Merku Thodarchi Malai, and Krishna's Kalari — have earned only negligible numbers at the ticket window. Crime thriller Echarikkai, directed by debutant Sarjun KM, received decent reviews from critics, and Merku Thodarchi Malai, which revolves around the landless labourers of the Western Ghats, fetched rave reviews from both the public as well as reviewers. Kalari and Lakshmi, unfortunately, did not win critical acclaim and missed to hit the bull's eye. Debutant director Lenin Bharathi, who is on cloud nine with the extremely positive response for Merku Thodarchi Malai, earnestly appealed to theater owners to increase the number of screens and shows for his film. Speaking at the thanksgiving meet of Merku Thodarchi Malai, Vijay Sethupathi, who has bankrolled the film, said, "I have not earned a single rupee as profit from this movie. I didn't realise how good our film was until the media heaped praise with their glowing reviews. Now, I understood how great an art form cinema is. I'm really glad that I didn't cheat the audiences by making a special appearance in the film to sell it. I had agreed to produce this film because I wanted to reciprocate the humanity with which Lenin Bharathi had shown me when I was a junior artist." In just 9 days, Nayanthara's dark comedy Kolamaavu Kokila, helmed by debutant Nelson Dhilip Kumar and bankrolled by Lyca, has grossed a whopping Rs 20 crore. The project has set a record by becoming the highest-grossing heroine-led film in Tamil cinema, and it topped the Chennai city box office for the weekend, ending on 26 August, despite a host of new films releasing. In the US, Kolamaavu Kokila has become the fourth highest Tamil grosser of 2018 after Kaala, Vishwaroopam 2 and Thaanaa Serndha Koottam, by crossing the $200,000 mark. In Chennai city, the 10-day total has touched an excellent Rs 3.89 crore, making it nearly 20% of the Tamil Nadu gross. In Telugu, Vijay Deverakonda and Rashmika Mandanna's romantic comedy Geetha Govindam continues to rule the roost in both Telugu states and the US. The Parasuram-directed film has entered the 100 crore club with its worldwide gross in 12 days. While Nara Rohit's Aatagallu could not pass muster at the ticket window, Aadhi Pinisetty, Taapsee and Ritika Singh-starrer Neevevaro, a remake of Tamil film Adhey Kangal, has approximately grossed Rs 4 cr so far. The pre-release business of Neevevaro was pegged at Rs 5.3 cr for both the Telugu states combined. Geetha Govindam has become Vijay Deverakonda's first film to cross the Rs 100 cr mark, and the profits have tripled for all stakeholders involved. The film's theatrical share has already crossed the Rs 50 cr mark, making it the second most profitable film of Deverakonda after Arjun Reddy—which garnered a lifetime share of Rs 25 cr against a scanty theatrical price of Rs 6 cr. In the US, the film has joined the elite $2 million club in 12 days. It's now the 12th Telugu film of all-time to earn $2 million in the US. Geetha Govindam also marks Vijay Deverakonda's first $2 million stateside; his Arjun Reddy grossed a lifetime total of $1.77 million. It has become the fifth Telugu movie in 2018 after Rangasthalam, Bharat Ane Nenu, Mahanati and Agnyathavaasi to pull in $2 million from the US. In Chennai city too, Geetha Govindam continues to hold steadily despite a slew of new releases. It has now become the fourth Telugu film in 2018 to cross the Rs 1 cr mark in Chennai after Rangasthalam, Bharat Ane Nenu, and Mahanati, with a 12-day total of Rs 1.09 cr.